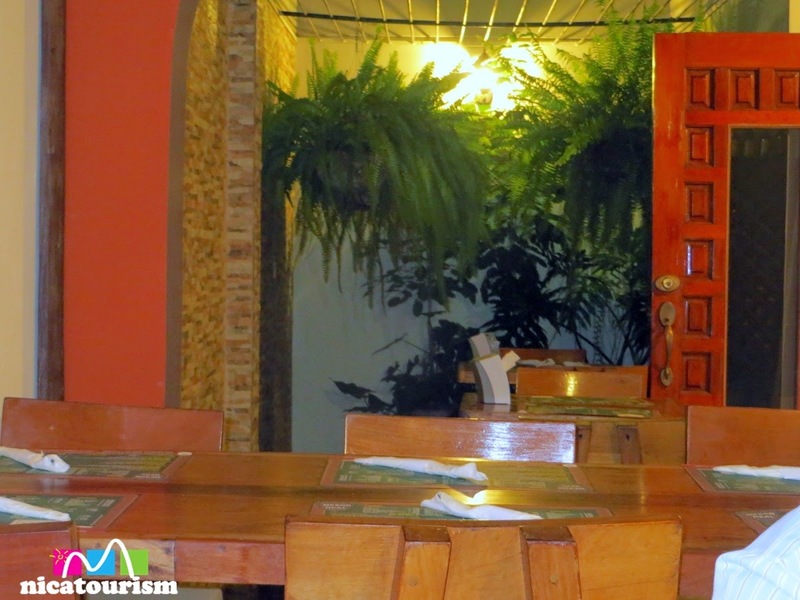 Another nice option for creative cuisine exists in Los Robles, Managua. 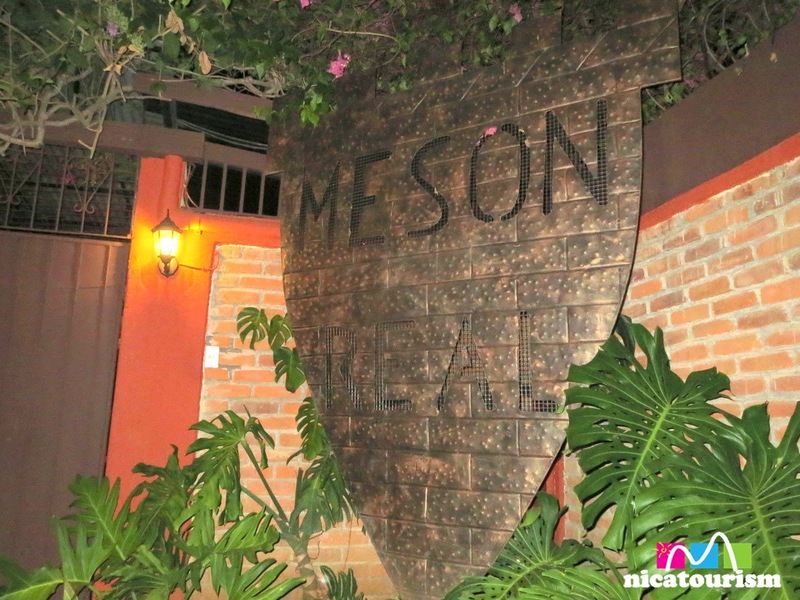 It's the Mesón Real, a Spanish and fusion restaurante. 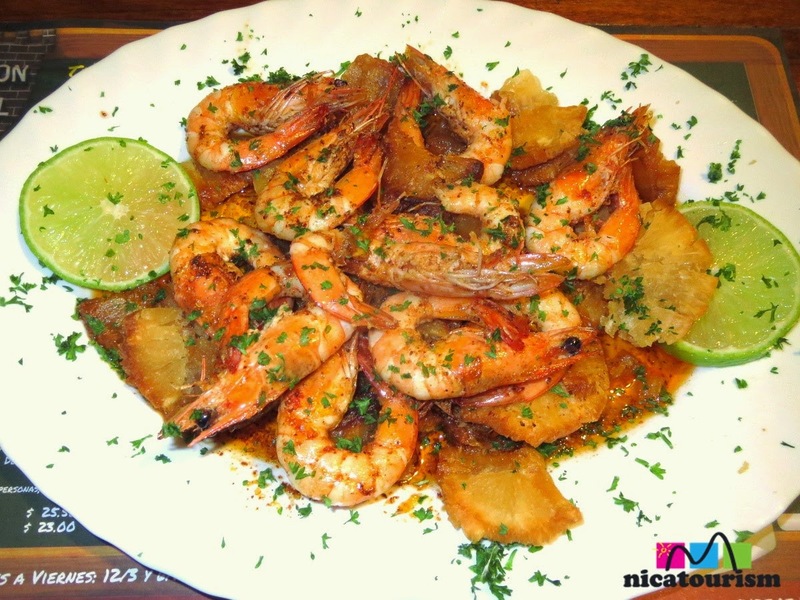 The owner, Gustavo Tefel, has done a really good job of re-inventing flavors...imagine the garlic shrimp (seen above) served on a bed of fried yucca and olive oil. I thought it was a really interesting combination. 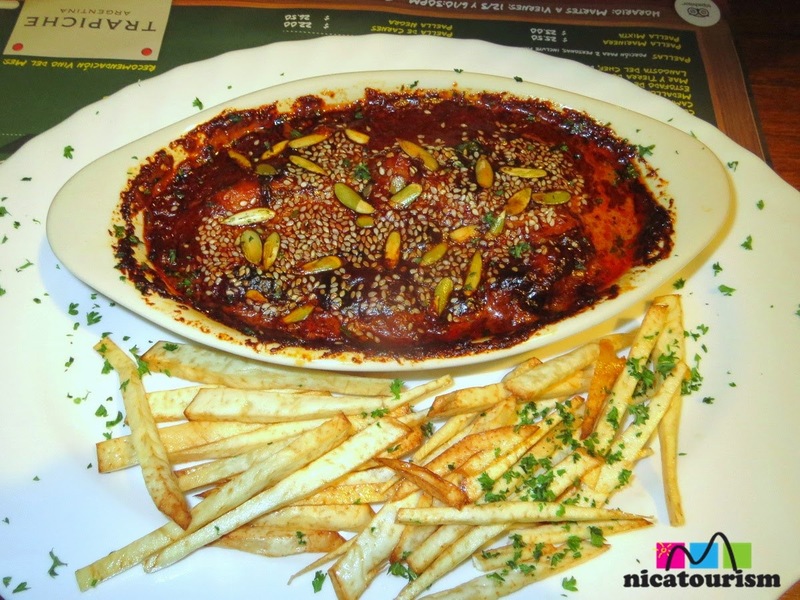 Also, the Corvina Reyna, a fusion of Spanish and Mayan cooking. While it wasn't a favorite for me, it was an interesting creation. 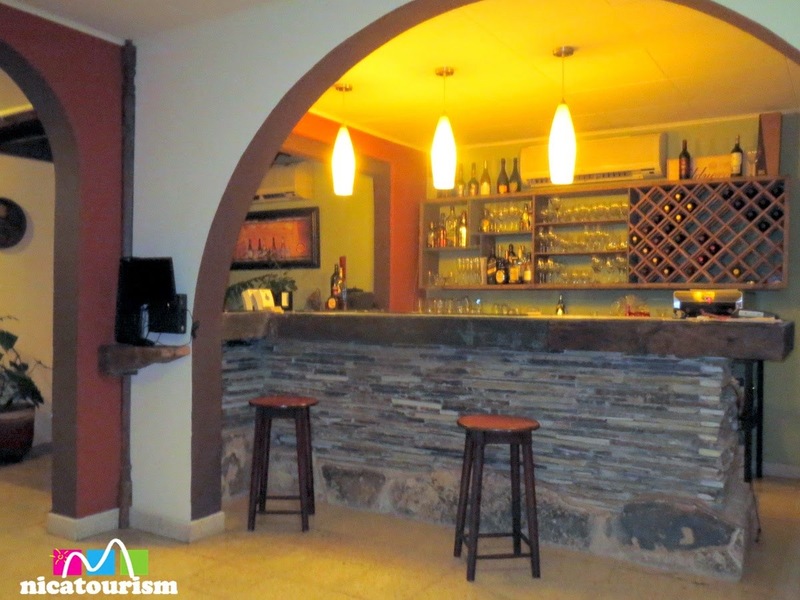 The service is good and the ambiance is friendly. As I mentioned, if you get a chance to talk to Gustavo, which you probably will, you'll feel his inspiration in the cooking. On a scale of 1 to 10, I give it an 8, especially for his creative flavors.